First and foremost, WTF is a dot reply? After four different attempts at trying to create something pretty, it’s just going to be easier to blog about following Twitter conversations–something with which I always struggle! I always have FOMO (fear of missing out) on part of the conversation! Justin came up with the clearest way of describing a Twitter convo: imagine the original tweet is the trunk of a tree, and reply thread is a branch. If you are a leaf on the branch, you can only see that branch. BUT if you are at the trunk, you can see the whole tree. I’m only seeing the branch that @AddieTheCorgi’s leaf is on. BUT if I click the “trunk” of the tree (the first tweet at the top), I can see the WHOLE TREE! So certainly reply to your own “trunk” if you have more than 140 characters, but let people know it’s a continuation! Just like it’s ok to jump into a conversation whenever you want, it’s ok to ask to be removed from a conversation as well. 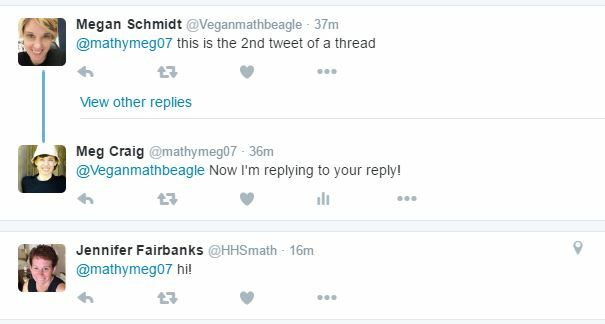 A “Please remove my mention, I don’t need to be in this thread anymore” should work (unless some people reply before they see your tweet, but it should get to it to stop shortly). 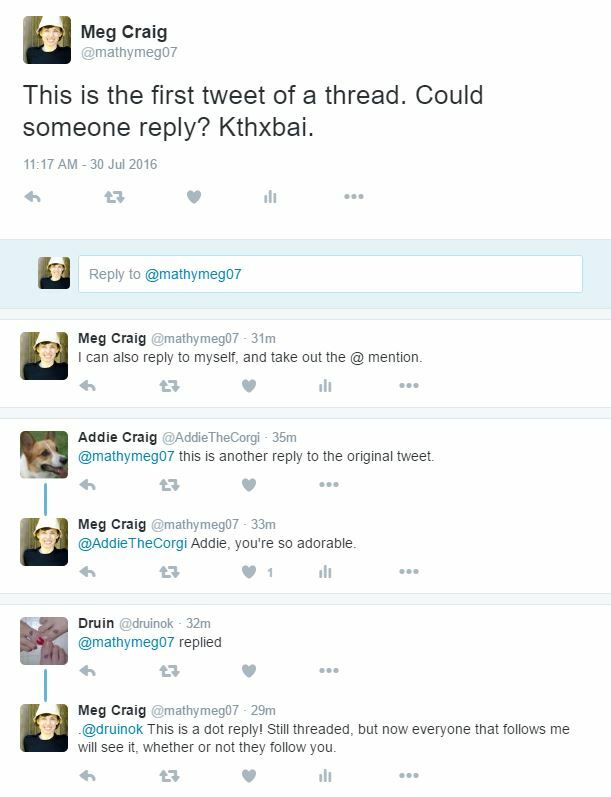 It’s also ok (and appreciated) to reply to just one person if it only involves them, even if that person isn’t the original tweeter. I know I get lazy sometimes and just hit reply and start typing, but it would be beneficial if we all took a second to (a) click on the original tweet to see if someone already replied your exact thoughts (guilty as charged!!) and (b) @mentioned and #hashtagged with intention. It’s not cool to slap a popular hashtag (or person) onto an unrelated tweet just to try to gain audience. It IS cool to @mention someone when you’re sharing something they did or helped with. 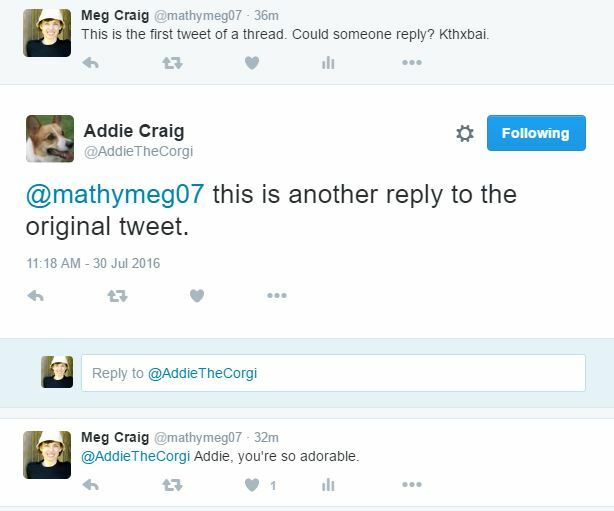 Also worth mentioning is when the mentions in a thread start getting unwieldy: start a hashtag! For further reading, I recommend Hannah’s comprehensive gdoc of our flex session and also Michael Fenton’s (@mjfenton) post with great tips (where I first learned WTF a dot reply was). And if you’re not on twitter yet, please join! Or if you are on Twitter but don’t feel a “part” of it yet, just like in real life, it takes time to build friendships and followers. 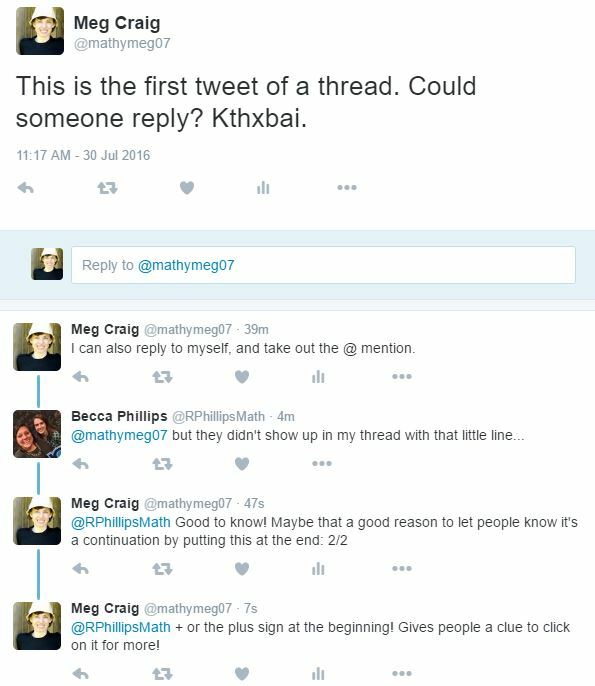 Join in a chat, reply to a conversation, ask someone a question about their latest blog post. We need your voice in the #MTBoS! #1TMCThing Choose one thing from TMC to focus on. Find other #1TMCThings that excite you. Check back in with those on October 26. This is not an exclusive thing…even if you weren’t able to be at TMC, you can still choose one thing you want to work on through the year. Some people are choosing big conceptual items, some are choosing smaller goals. Do what’s right for you. Mine is working with Sheri Walker to create and use some Desmos awesomeness. #TMChange A lot of TMCers are starting at a new school next year. New things are hard. Hard things are less hard when you have supportive friends. Thus, #TMChange is for those that are changing and for those who have recently changed and want to give support to others. @sophgermain is also starting a slack (like a private twitter) to give y’all a safe space to talk. DM her your email if you want to join. #SMPTargets If you attended Chris Shore’s presentation about using the Standard Math Practices daily, you will remember that he wrote learning targets that included the SMP focus for the day (for example, “I will persevere while solving right triangle trig problems.”) I am making writing those my 2nd #1TMCpage and Chris came up with this hashtag for others that would like to collaborate and/or support each other. TMC15 Wiki Check for presentation materials and info here! bit.ly/MTBoSsearch the MTBoS search engine. Tweet @Jstevens009 if you’re blog isn’t listed UNLESS your blog is already listed on the TMC15 list. If so, it will be added in the near future. 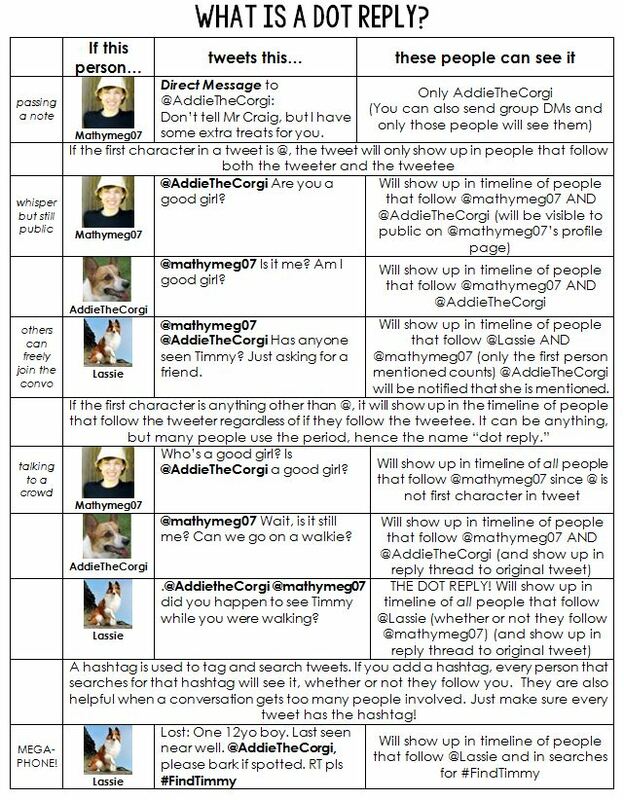 If your blog is not on the TMC15 list, then go ahead and tweet him to add. bit.ly/desmosbank A searchable database of Desmos activities. 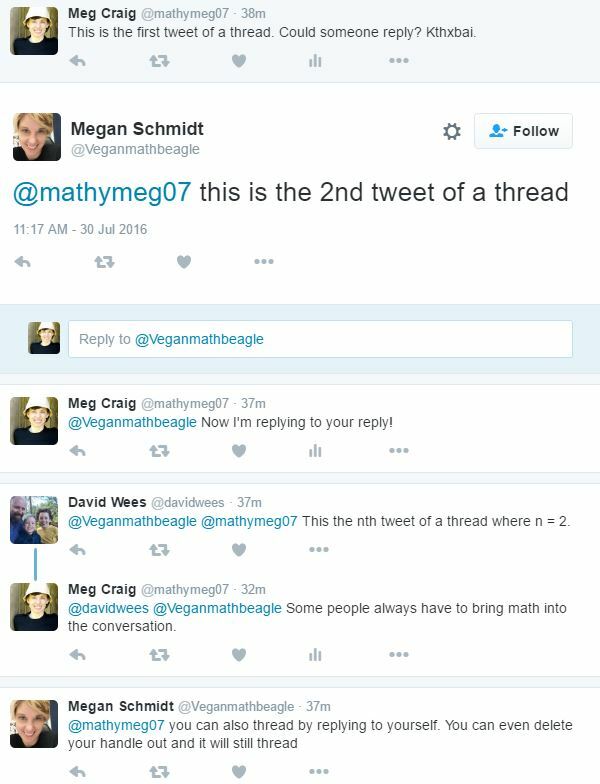 Blogger Initiation BrainstormingIf you want to help build the #MTBoS, add your thoughts to the document. A mentor idea was discussed, as well as helping people restart their blogs. The actual initiative is planned for late October/early November to feed off of presentations at NCTM Regionals. Bonus t-shirts: At approximately 6:45, a few of us mentioned how we wanted “Find what you love. Do more of that.” on a t-shirt. At approximately 6:50, Mark (@hfxmark) had created it on spreadshirt. Here is the link! I’m sure I missed some other important links, so please let me know and I will add them! Oh, also, one other thing that may be important to know: TMC16 will be at Augsberg University in Minneapolis, MN, July 16-19 2016. See you there!